This article from The Atlantic is too good not to share. But wait, it gets better. After some initial confusion, the officer on duty, Colonel Stroud (a name that should be immortalized by Hollywood immediately), played along. Bemused by the first caller — a lachrymose girl who wanted to know if he was one of Santa’s elves — the good Colonel couldn’t bring himself to deny it. The steely-eyed missile men of CONAD soon found themselves roped into quizzing children on whether they’d been naughty or nice. 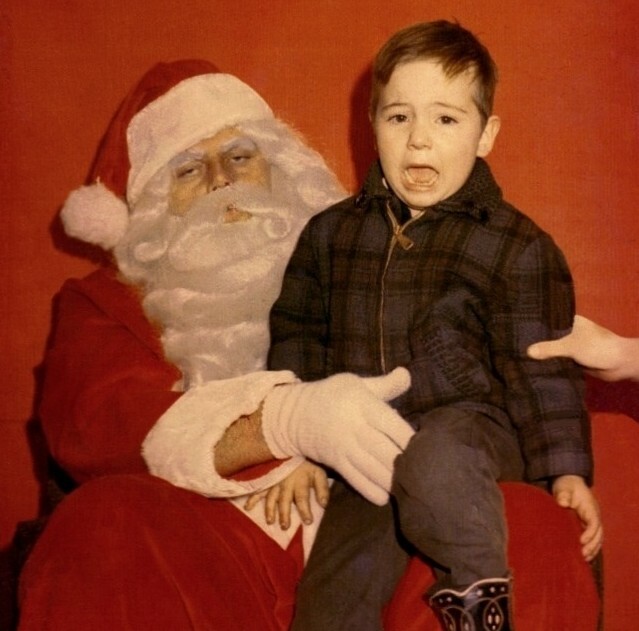 And so began an endearingly incongruous holiday tradition; NORAD offers a ‘Santa tracking’ service to this day. The fifties really was a simpler time. 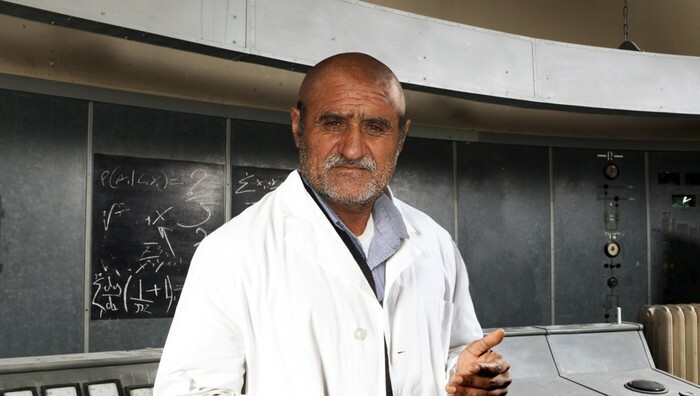 Frustrated Iranian Scientist Forced To Shut Down Project He Spent 12 Goddamn Years Of His Life On. Possible detente with Iran, but nobody considers the human cost. As ever, America’s finest news source has the story that other outlets refuse to cover. I’m going to let this one speak for itself. Nothing radically new here, but Helen Caldicott does a decent job of outlining bioaccumulation and biomagnification. 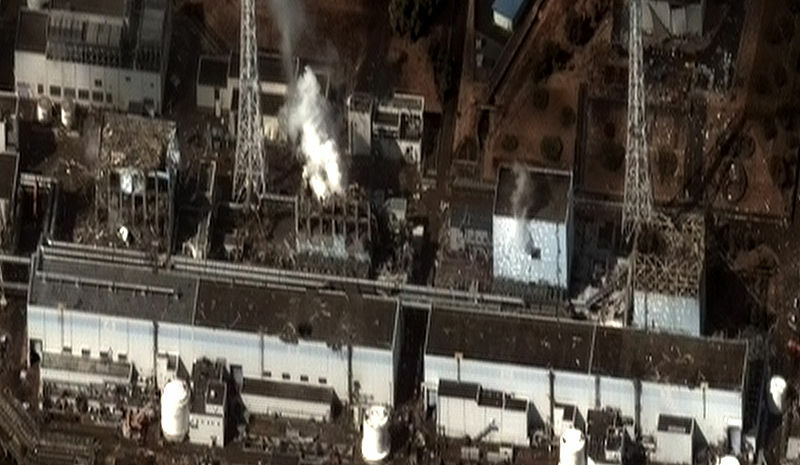 I’m going to break the format of this blog a bit, such as it is, to make a few journalistic observations about the US response to the earliest days of Fukushima. Firstly, the US NRC seems to have been shell-shocked by the event. It should have been obvious from the first day that Unit 1 was in meltdown. The commission knew, for a fact, that there was no cooling in the core; this is well established. And it does not take a degree in nuclear physics to know what happens to nuclear cores without cooling. Yet it was three days before anyone was willing to admit the obvious, even to themselves. By all accounts the commissioners just watched the clock as over forty hours-without-cooling ticked by, and continued to assure the world that Japan had it under control. It is as if a lifetime of fervently espousing the impossibility of core-melts had made them unable to see what was right in front of their eyes. This is cognitive dissonance on an epic scale. Thirdly, the limited US evacuation recommendation (50 miles) was far too limited from a safety perspective. 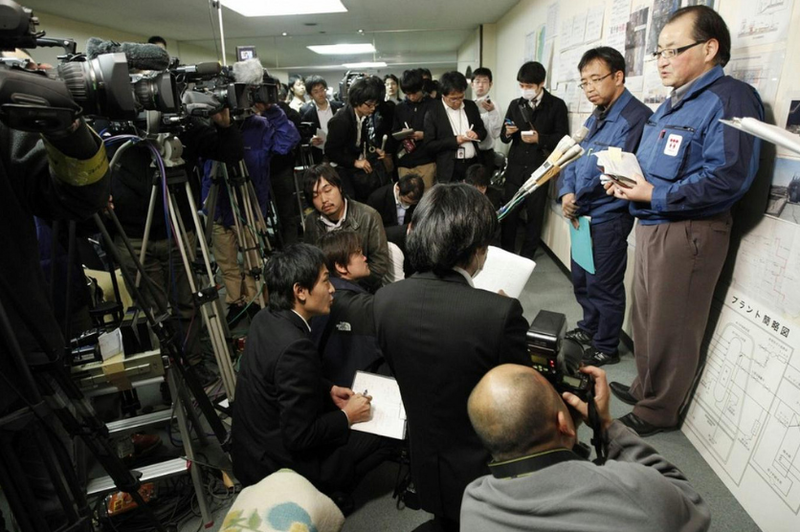 Within 72 hours it was clear to everyone that the citizens of Tokyo were in serious jeopardy. This is to say there was substantial evidence of a zirconium fire in the unit 4 spent-fuel pool (not least the fact that the building exploded, despite there being no fuel in the reactor core) — an event that would have released a tremendous amount of radioactive fallout, and would almost certainly have led to the loss of a much larger pool nearby. As it happened, the fuel had begun to melt but the Japanese were able to bring the pool back from the brink; but nobody at the time took this for granted. When questioned about this, authoritative experts repeatedly stress that the NRC simulations showed no threat to Tokyo, even from a spent fuel fire. What they don’t say, however, is that the NRC simulations (which use a system called RASCAL) were only capable to modeling effects up to 50 miles out, and so they could not have shown a threat to Tokyo under any circumstances. The Germans had already advised their citizens to evacuate the capital, no doubt at some diplomatic cost. So had the French, the Russians and the Chinese — all countries with heavy nuclear investments and none of them exactly wilting violets when it comes to radiological hazards. Tokyo was in serious trouble, and the US must have known. This leads to my final observation: that the US decision not to order an evacuation beyond 50 miles — quickly and obediently echoed by the UK — was a political decision not an evidence-based calculation. It was a decision to put US citizens in Tokyo at risk as a favor to the Japanese government, who were desperately worried that a mass international evacuation would have led to uncontrollable panic in their capital. It was a gamble that paid-off. Other countries looked to the US for cues and echoed their recommendations, stemming the tide of evacuation recommendations. Mass panic was averted. TEPCO — with ‘heroic efforts’ and no small amount of heroic luck — were able to save the spent-fuel pool, and with it the residents of Tokyo. (Although it remains in jeopardy). In other words, Japan owes the US a solid, and they’re acutely aware of the fact. Sore misgivings about US bases on Japanese soil have all but disappeared since the crisis. 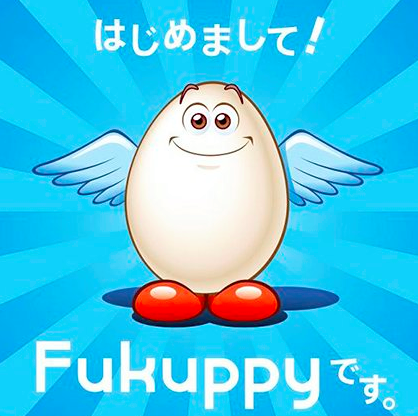 Meet Fukuppy, the inadvertent Fukushima mascot. As explained in this article from today’s Guardian Online. I am sure there is something desperately insightful to be said here about the co-option of symbols as protest in an international digital age, but right now it escapes me. I post it mainly as light relief. Feel free to opine in the comments. The town on Plymouth, on England’s south coast, can trace its history back to the bronze age. A natural harbor, it has a proud maritime tradition. The pilgrim fathers left from its port in 1620 to settle the New World. It is currently home to the largest operational naval base in Western Europe. On 29 July, last year, Plymouth almost became a radioactive ghost-town – the victim of a reactor meltdown due to a technical mishap. The UK’s own Pripyat or Fukushima. Or so recent disclosures suggest. Plymouth isn’t even home to a nuclear reactor. Not a permanent one anyway. 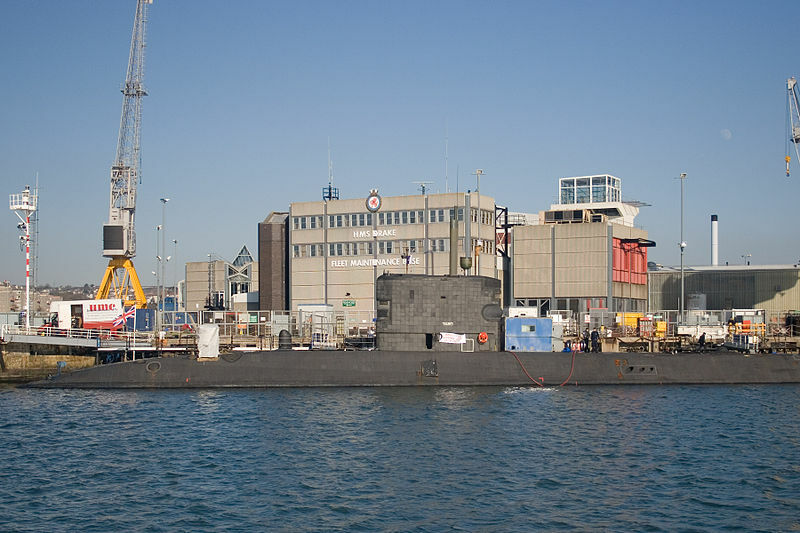 Its naval base services many of the UK’s nuclear submarines. The near catastrophe was was caused when a series of “unidentified defects” [echoes of Normal Accidents here – ed] led to the loss of both primary and secondary power to the onsite subs’ coolant systems for more than 90 minutes. A subsequent investigation pinned the failure on a “defect in the central nuclear switchboard.” A failure that would almost certainly have been deemed “impossible” by anyone studying the system’s blueprints in advance. Who knows how close Plymouth came that night. The incident certainly seems serious enough, but the secrecy around such events invariably prohibits proper scrutiny for decades. I highlight the scare mainly as a rejoinder to those who dismiss revelations about near-misses in the past with the argument that technologies have changed since then, making past failures irrelevant. Technologies change, yes, but the fact that complex systems fail for unexpected reasons that defy our risk analyses remains. It is as constant as our willingness to wager, over and over, that this time, this time, the systems are safe and the assurances are accurate. Any parallels with Fukushima are, I am sure, entirely coincidental. I was impressed by this short piece on HuffPo today. Former White House policy analyst, Jeff Schweitzer, speaks the truth about the irrational costs of nuclear energy, and highlights our propensity to underestimate high-consequnce, low-pobability failures like Fukushima. More considered stuff on nuclear power’s complicated origins soon. 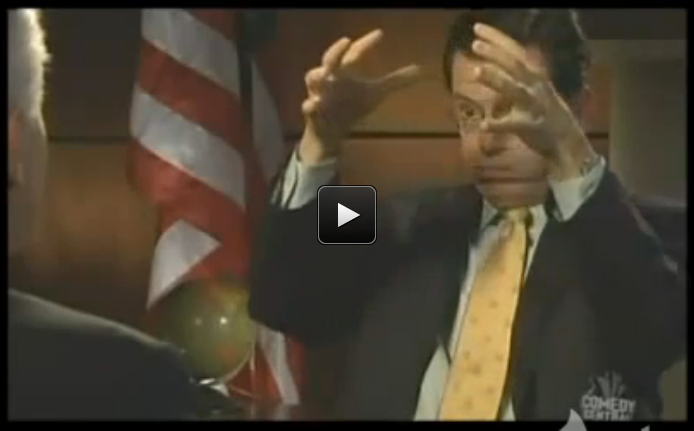 But in the meantime here’s Stephen Colbert impersonating a nuclear explosion. Just because it’s kind of awesome, and it’s kind of Monday. Fukushima has been back in the headlines of late, with the ‘surprise’ discovery that hundreds of tons of Strontium-laced radioactive water has been leaking into the Pacific, where the processes of bioaccumulation and biomagnification will ensure that it eventually winds up in our sushi. I put scare-quotes around ‘surprise’ because it really wasn’t a much of a shock to people intimately involved with the disaster. Individual leaks might be difficult to spot, but they know how much water they are pumping into the ruined reactor buildings, and they know how much water they are storing. It isn’t a very complicated math problem to figure out how much water is being lost. Especially, one might imagine, to the nearest hundred tons. Seriously, where did people think that water was going exactly? With all the focus on the leaks though, I worry we have been missing the much (much) bigger dangers the continuing disaster poses. There is still the spent fuel-pool sitting atop unit 4, which is badly damaged and increasingly unstable. Even a relatively modest earthquake (the normal and entirely expected kind) could bring it down. If that happens, which it very well might, it would inevitably lead to a radioactive fire that would dwarf Chernobyl’s by several orders of magnitude. It is difficult to make a case that it would not (at minimum) be the end of Tokyo as a habitable city. (The implications of this alone are difficult to comprehend. It would mean relocating over 30 million people, and who knows what for the global financial system.) Less bad for the environment but almost as bad for Tokyo would be if the reactor cores melts its way down to the city’s aquifer, which runs under the plant. Again, a very real possibility. Such fears, should they be realized, would come as ‘surprises’ to the vast majority of the media-reading public, but they really shouldn’t. The mainstream media might be ignoring these issues for now, but there are plenty of knowledgeable people trying to make themselves heard about the dangers. This article, for instance, does a pretty good job of summarizing some of the issues.